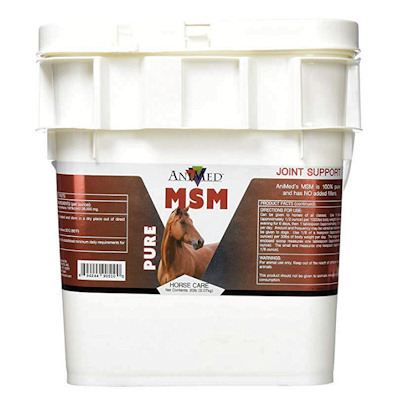 MSM 100.00 per cent Pure Powder is the original, licensed dietary grade Methylsulfonylmethane made under several US patents held by Dr. Robert Hershler to meet the highest standards of purity. Serving amount is 2 to 3 scoops twice daily for the initial 14 days. Follow with one scoop twice daily or two scoops once daily. Each scoop contains 3.47 grams of MSM. For optimum results feed 10 grams daily. Please note: The free shipping on this 20 lb container is worth about $24.00 in shipping cost compared to what other companies will charge you for shipping.